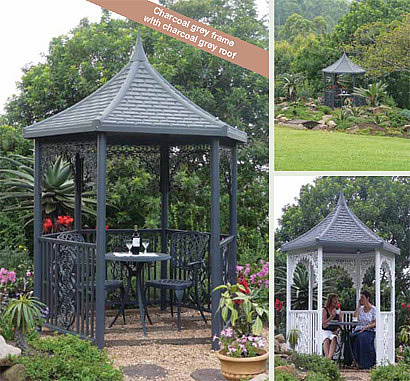 Create a serene space in your garden to entertain in, or simply enjoy a lovely afternoon in our range of DIY garden gazebos. 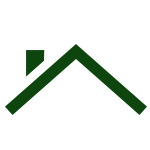 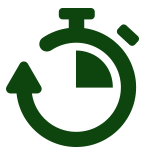 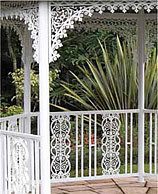 As leaders in the design and manufacture of premier outdoor lifestyle products, Patio Lace has the ideal solution for you. 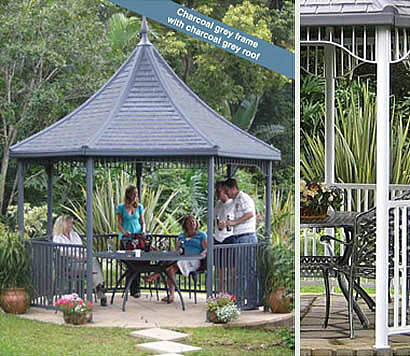 Sit back, relax and enjoy your garden with style. 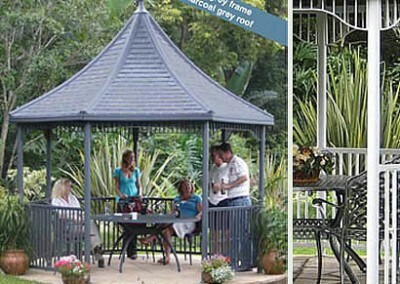 Our beautiful contemporary gazebo will complement and become a feature in any garden. 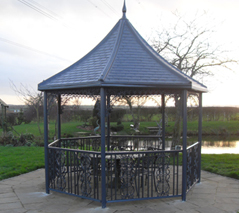 Because of its material, our gazebo will look great 365 days a year, making your garden look stunning all year round. 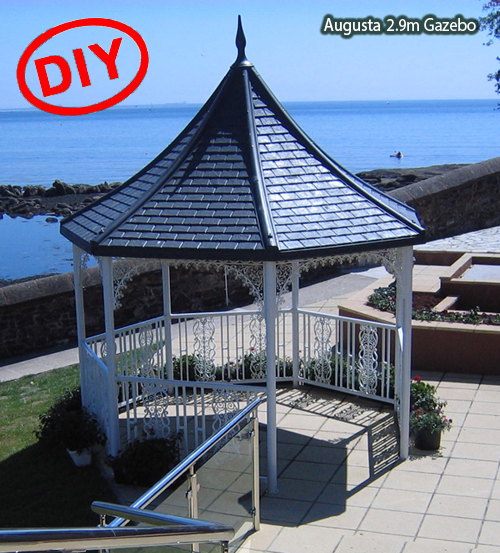 Roof manufactured from fibreglass with a slate tile effect. 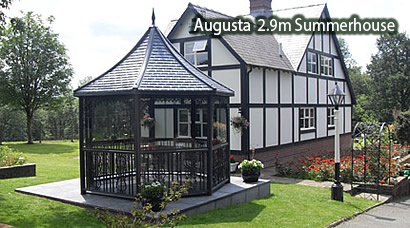 Perfectly compatible with our existing 2 m and 3.5 m range we now offer a 2.9 m gazebo. 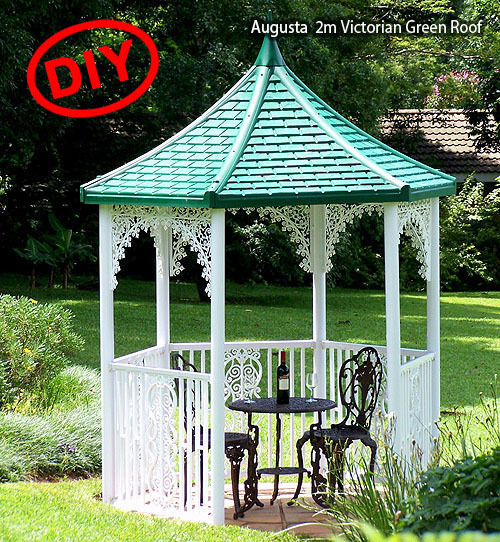 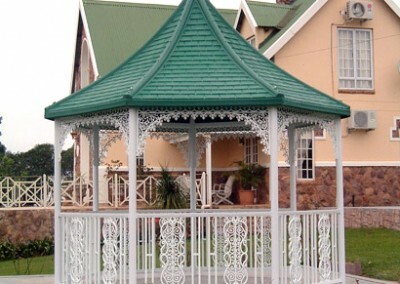 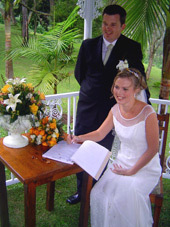 Patio Lace now offers a gazebo that suits all requirements and sizes. 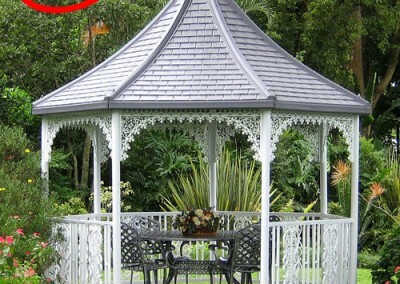 The 2.9 m is big enough to entertain in, or host a Sunday lunch, yet is small enough for intimate occasions and weddings. 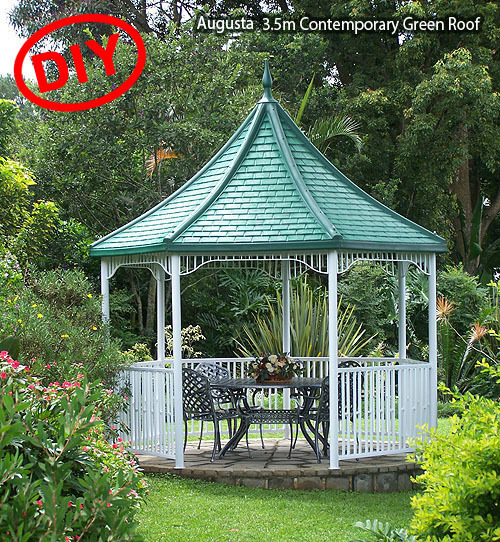 The 2.9 m gazebo will fit in just about any size garden or setting. 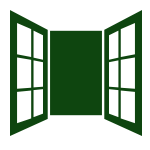 It is the ultimate in adaptability. 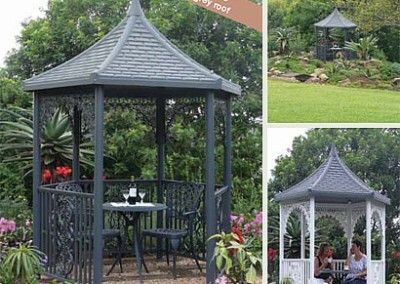 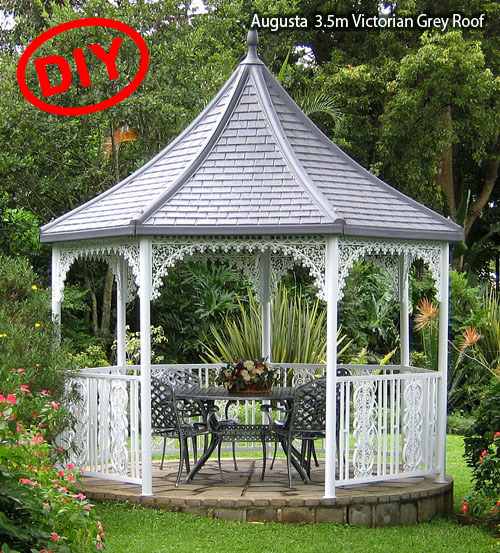 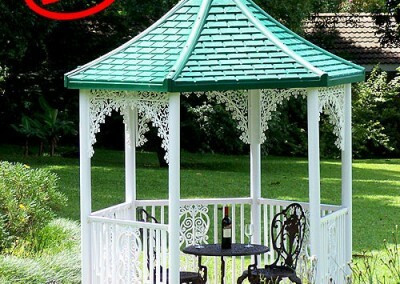 Enjoy relaxing with a friend or having a little time out is this attractive gazebo. 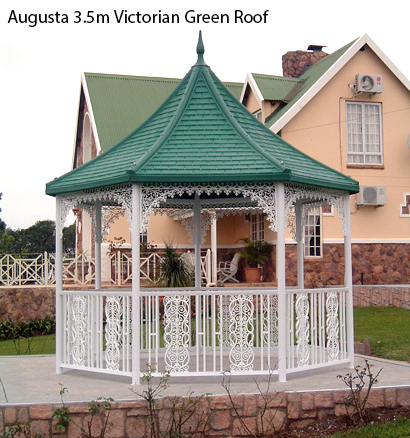 It can create a beautiful focal point to your garden and at 2 metres high it is an ideal size for smaller gardens, patios or a feature in a larger garden. 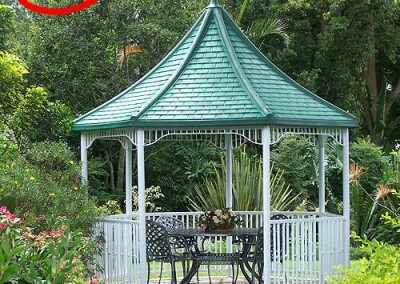 It’s a great place to have barbeques and savour those long sunny evenings.